Google links are redirecting to various ad sites. First noticed Google loading a second or two slower than normal. Then links started going to the wrong places. When MSEssentials did its weekly scan on June 30 it quarantined Alureon 32 and 64 which had obviously slipped by. Downloaded and ran MBAM Pro today - scanned twice. Google on IE9 initially looked like it was okay but quickly started redirecting again. Hello John and ! My name is Maniac and I will be glad to help you solve your malware problem. Thanks Maniac. I appreciate your help. I disconnected that machine yesterday but only realized this might be more serious when the problems persisted after I thought it was clean. Based on what you said it is even worse than I suspected. Was not aware of benefits of being a paying customer so if that is the best route I can do that. I got the MBAM Pro trial yesterday because it was the fastest way to get it without exposing passwords or credit card information through my system. After seeing MSE let viruses through and reading up on this I had decided to buy Pro to use in addition to MSE anyway. Here is my status. I have a new laptop onsite that I was getting ready to switch to anyway, so switching to that machine immediately followed by a clean install on the old one is not a problem if that will fix the old one. Only things I have to do before switching is export the Outlook 2007 pst folder to the USB backup (unfortunately connected to the infected machine), setup email accounts on the new machine, and move the backup drive to the new machine. Note that the infected machine is also hooked up to a wireless network (three computers but no server). Have had no virus symptoms on the other machines yet, and the new laptop has not been connected to the network recently (last 30 days). Beyond the password and identity theft issues my concern is infections on the USB backup, and I cannot hook it up to the new machine until it is clean. 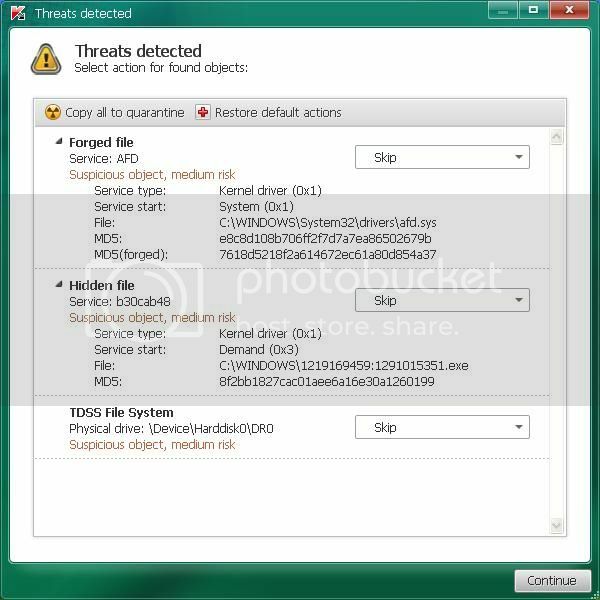 The files on the backup drive include an old system image from Dec2011 or Jan2012, which is 6 months before virus symptoms showed up in last week's MSE scan. The drive also has recent document, photo, and spreadsheet files, plus a recent Outlook pst file. 3. Get the backup drive clean so I can use the files on that drive. 4. Deal with the old laptop. I welcome suggested changes to the list and I really need help with items 3 and 4. Also welcome your thoughts on how to handle infections on the backup drive and about possible network infections. I have a solution for you, John! 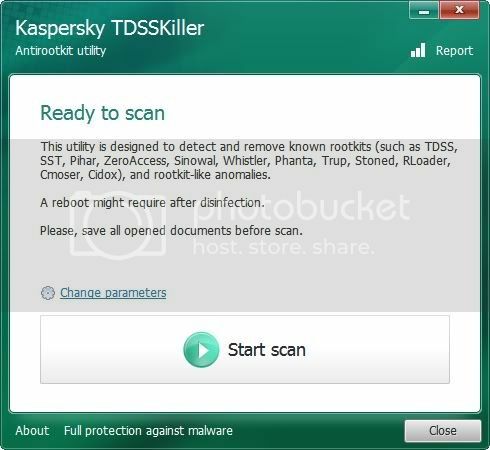 Download Flash_Disinfector.exe by sUBs from here and save it to your desktop. Note: Flash_Disinfector will create a hidden folder named autorun.inf in each partition and every USB drive plugged in when you run it. 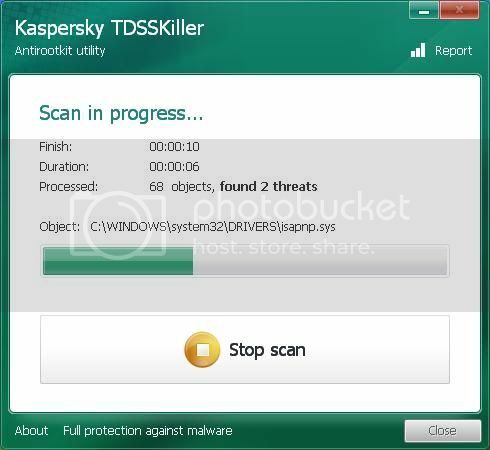 Don't delete this folder...it will help protect your drives from future infection. No luck Maniac. Downloaded Flash_Disinfector to the infected machine but it will not start. Sign in as Admin and it acts like there is a compatibility problem. It ran fine on my other machine (XP). Also moved that copy from the XP to the infected machine but it will not start. Also, Alureon.FO showed up again in the MSE scan. MSE quarantined it and I removed it again but don't think that did any good. And MBAM Pro stopped updating and kicked out an error. Sent it to support as it requested. Yes am still with you. Have a chronically ill family member - was away from computer. Current plan is below and suggestions ARE welcome. Goal is to NOT transfer anything bad to the new machine. Want to get it right the first time and not have to do this again. 1. 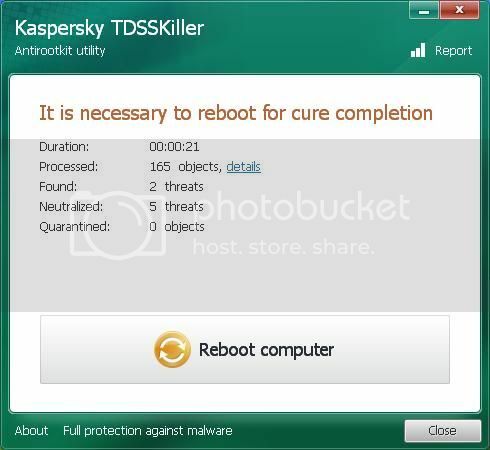 Reformat infected machine Thursday (friend coming to do that). 2. Check that files on the USB backup drive that was attached to the infected machine do not re-create those same issues on that machine after reformatting. 3. Move files on the USB drive to the new machine. Will update here after reformat and file transfer later this week. I will wait to inform me and then close the topic. Yes, but have not made as nearly much progress as expected. Will likely be next Thursday when my helper returns before I get much further. If you want to close this out that is fine.